President Trump: Moon Then Mars! Are you ready to go back to the Moon and on to Mars? President Trump signed an Executive Memorandum today, directing NASA to work with commercial space and our international partners to actually go to the Moon and Mars. From the order: "The paragraph beginning "Set far-reaching exploration milestones" is deleted and replaced with the following: "Lead an innovative and sustainable program of exploration with commercial and international partners to enable human expansion across the solar system and to bring back to Earth new knowledge and opportunities. 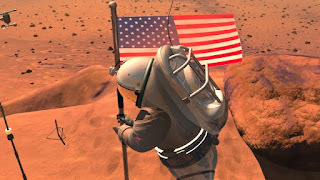 Beginning with missions beyond low-Earth orbit, the United States will lead the return of humans to the Moon for long-term exploration and utilization, followed by human missions to Mars and other destinations;"." The order replaced the current meaningless direction to "set far reaching exploration milestones," with direction to go to the Moon and Mars. This is a major change--from talk and excuses to action. However, the president can't do it alone. Now it is up to us to supply the public support the president needs to get Congress onboard with the appropriations and authorizations to get away from flat or declining budgets and get us on the pathway that will take us to the Moon in the 2020s and Mars in the 2030s. Please support Save Manned Space with a donation to help increase our outreach and lobbying efforts. Thank you very much. The Coalition to Save Manned Space Exploration endorses the nomination of Rep. Jim Bridenstine to be the next NASA Administrator. Hon. Bridenstine was approved by the Senate Commerce, Transportation and Science Committee. The full Senate confirmation vote is expected soon. Please support Rep. Jim Bridenstine's nomination. It is important for all space advocates that he be confirmed by the Senate by unanimous consent or a strong bi-partisan vote. The Coalition has been helping to lead the way by working with pro-space groups to urge their support, contacting Senators, speaking at the Mars Society Convention, as well as addressing a meeting of 140 political leaders. Congressman Bridenstine is a strong supporter of the space program, commercial and new-space, crewed Moon and Mars missions, and an overall restoration of American leadership in space exploration. 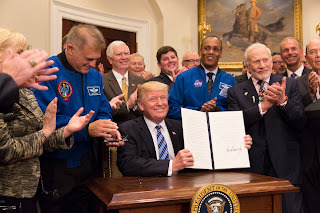 Under his leadership, combined with the strong support by President Trump, and Vice President Pence's leadership in the new National Space Council, we have the opportunity to reform NASA and set a serious roadmap to return to the Moon in the 2020s and land on Mars in the 2030s. 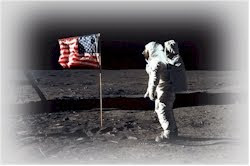 Democrats and Republicans united to send Americans to the moon, and to build the space shuttles and the International Space Station. United, we will indeed return to the Moon and go to Mars sooner than many believe possible. Divided, we will never make it. NASA is effectively paralyzed until a permanent administrator is confirmed. That means no shift to real plans to go to Mars or the Moon. In 2009, both Maj. Gen.(Ret.) Charles F. Bolden, and Lori Garver were confirmed by unanimous consent. In 2005, Dr. Michael D. Griffin was confirmed by voice vote. In 2001, Sean O'Keefe was unanimously confirmed. In 1992, Daniel S. Goldin was confirmed by unanimous consent. Let's give Rep. Bridenstine the unanimous bi-partisan and non-partisan support he needs to lead NASA to actually put us on the path to Mars. A contentious, party-line vote will harm NASA and our space program by making it difficult to get support in Congress for budgets, authorizations and real roadmaps to Mars, the Moon and beyond. We do not live in a vacuum, and absent American leadership in space, China and other dictatorships and adversaries will seize the strategic advantage. If China wishes us to believe they would not claim the Moon and orbital space as their own, they are setting a poor example in the South China Sea. Commercial space will not be welcome in space dominated by dictatorships. Please call your Senators at 202-224-3121. Do not just leave a comment with the receptionist or intern, but ask to speak with the Senator's NASA advisor or the Legislative Director. That will assure your support is communicated to the Senator in the best possible way. Leave a voicemail with the staffer if they can't take your call, and you can ask for their email addresses and send a friendly email in support of the nomination. Write an email to the Senator's NASA advisor/legislative assistant. Ask the receptionist for their email address. If you run a space-related business or organization, request a meeting with your Senators or their senior staff, as well as those on the Space Subcommittee. Write a letter on your letterhead--but email a PDF to the Senator's NASA advisor rather than mail it. Post office mail can take weeks to be delivered due to security. Visit your Senators' offices, either in your state or at the U.S. Capitol. Post supporting messages on social media. Encourage others to join together for a united, strong space program. Write a letter to the editor or op-ed to a major newspaper and/or space industry publication. If you are a member of any space advocacy and related organizations, please request that they endorse Bridenstine's nomination. Read Rep. Bridenstine's American Space Renaissance Act. Read Rep. Bridenstine's impressive biography. Please pass the word to your members, friends, contacts and supporters.